Our COBie Foundation training course provides attendees with an understanding of why COBie was created and how it’s structured. The COBie Foundation course gives contractors, subcontractors, architects, engineers, information managers, building owners and facilities managers with the knowledge and techniques to create, test and deliver BIM compliant COBie files. 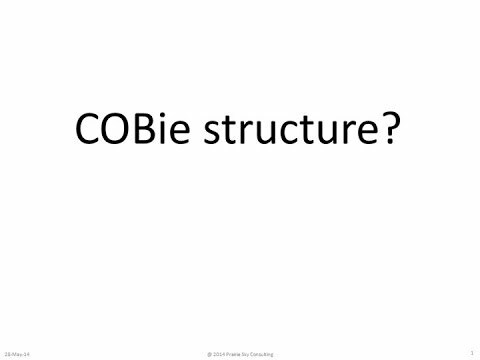 The COBie Foundation training course covers all aspects of COBie that may be delivered by Architects, Engineers, Contractors, and Subcontractors. Once completed, attendees will be able to meet current contract requirements and predict the impact of ‘Lean Handover’ processes. This COBie course can be tailored dependent on your requirements, so if there’s anything specific you want to know please get in-touch. As our COBie Foundation training course is a standard course and covers the topics and modules below, however this course can be tailored to your exact requirements to cater for your training needs.